Hawaii Dive-0! It's manned sub's 1,000th mission! 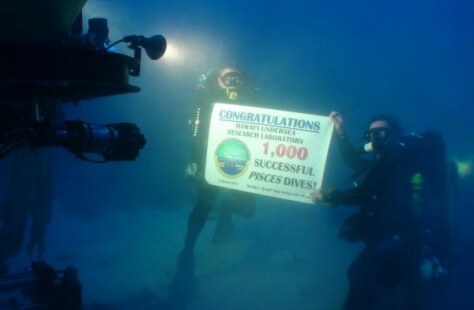 Divers Dave Pence, left, and Ken Longenecker hold up a banner commemorating the Hawaii Undersea Research Laboratory's 1,000th dive with the Pisces submersible.